Hi lovelies! I hope you're all well. As most of you probably already know, Coachella was this weekend! 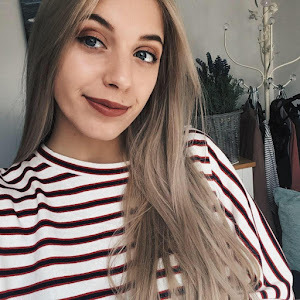 Although I didn't actually go, because I live a world away and am pretty much broke at the minute, I thought I'd put together some looks that Coachella fashion has particularly inspired. I really wanted to style them for you, but unfortunately here in the UK it's still pretty freezing outside! 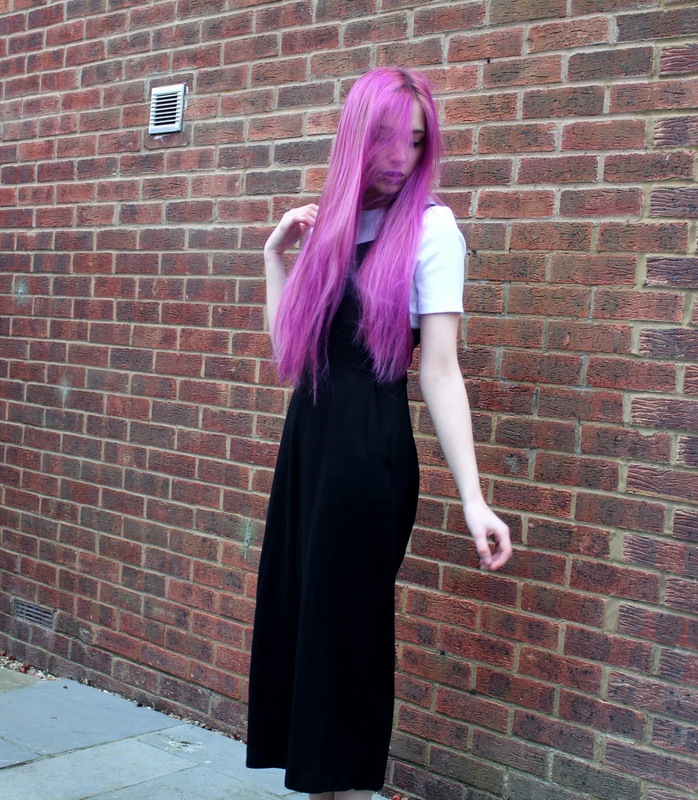 Once it warms up a bit, I'll be posting a lot more OOTDs and Lookbooks for Summer clothing! I am obsessed with these sunglasses and I try and pair them with practically every outfit that I wear! Although they are thrifted (from the Cambridge Vintage Emporium, I think?) they are such good quality. They don't actually fit very well on my face, so when I'm not wearing them I just use them to accessorise my outfit by letting it hang from the side of my shirt! This daisy crop to is absolutely gorgeous as well. I found it in a tiny little independent boutique shop when I was visiting my aunt and we fell in love with everything they had! Although the price was a bit expensive, it was totally worth it to have this little pretty floaty piece in my wardrobe (even if I haven't actually worn it just yet)! I paired this with some basic denim shorts and black sandals with a gold ankle strap, just to keep the look's colours all toned and simple! The gold strap definitely helps bring out the colour of the yellow daisies in the top and the bracelet is just a cute simple accessory to sparkle it up a bit! I wore this dress on holiday last year and never have since, but stumbling across it in the back of my wardrobe made me extremely happy! The print is quite bold and has the perfect pop of red without it being too much. It falls down to just below my knees which is the perfect length for a thin summery dress that is easily blown about in the wind! The gold necklace looks great with the darker navy fabric, but isn't too much to distract from the floral print! When creating this look I wasn't sure whether it actually worked! I mean, floral and checked? Doesn't sound great. But I completely disagree with what it sounds like, because I think it looks fab! The black on the top helps to make a smooth transition into the black on the shorts therefore bringing the piece together. This look feels slightly more 'edgy' than your typical kimono Coachella look, so I paired it with a tattoo choker and some silver jewellery to make it look even more so. I've had these strappy shoes forever and they're by far my favourite shoes for the summer! Because of the black straps, they go with everything and they're so comfy! For the final look, we have a more floral based outfit! 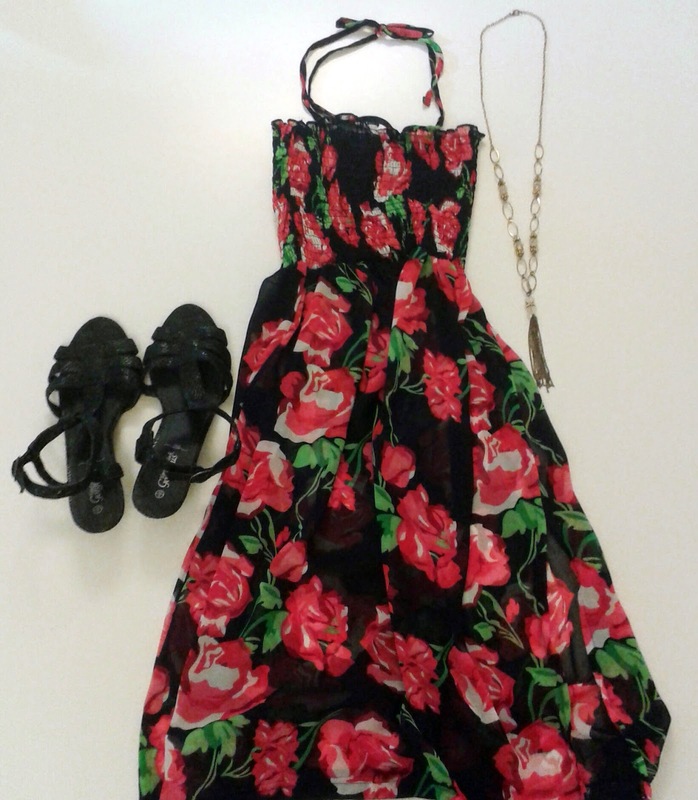 The top tones so well with the flowers on the skirt as well as the straps on the shoes. The pink straps and flower crown also help bring out the pink in the skirt as well as some of the more vibrant colours. This look is your typical boho chic Coachella look and I'm loving it! Not entirely sure whether it's my style, but I'm still obsessed! So those are my 4 Coachella inspired looks! Let me know in the comments which one is your favourite and what your thoughts are on Coachella/Festival fashion this year! Looks cute, I love floral prints but I'm getting too old for festivals. Hey :) Awesome blog! 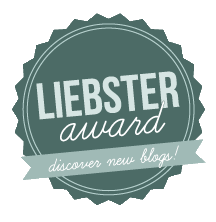 I nominated it for the Liebster Awards! I would love if you participated - the rules and questions are on my blog! I love your sunglasses in the first outfit, what a great thrift find! Ooh i love all of your outfits, i really wish I went to Coachella too... I can only dream! First outfit is super cute ^.^ I'd LOVE to go to Coachella! I just love the first look ! because I think shorts are more practical for festivals. You chose some beautiful patterns and created lovely outfits! I love the first pair of sandals! I've been looking for a metallic and black pair! Great outfits :) I love the first one! you have so many lovely products!